Maleic anhydride may be obtained from different technological routes, being the selective oxidation of benzene and oxidation of butane the only ones that are currently in operation and, hence, represent competitive alternatives. 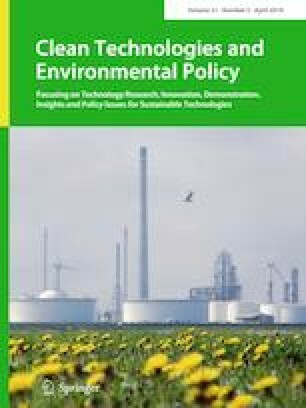 In this paper, the said technologies are compared with regard to their economics and ecological performances in order to assert which one corresponds to the cleanest technology. 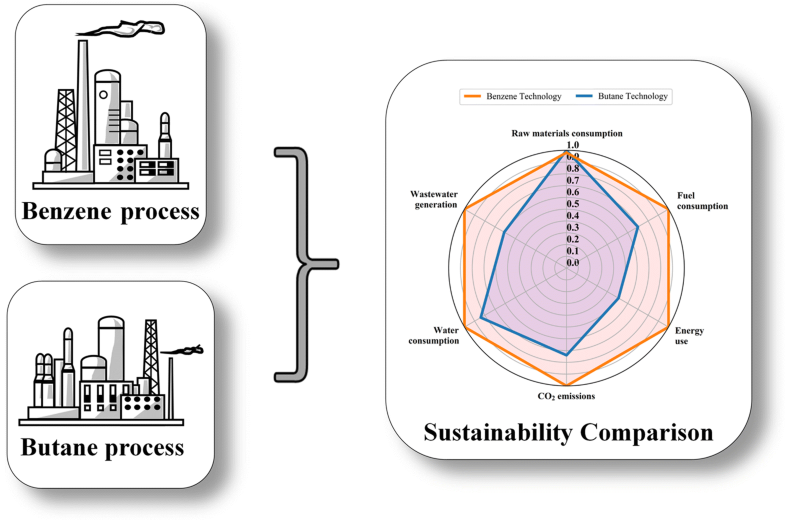 The economics of each process was estimated on the basis of their respective cash flows, while the environmental comparison was carried out through the Eco-efficiency Comparison Index method by estimating six different categories of eco-indicators and seven life cycle metrics. To the best of our knowledge, such technologies have not been compared in terms of a joint evaluation of life cycle and eco-efficiency metrics, let alone considering the design of their respective utility plants. Finally, a sensitivity analysis was performed in order to analyze how the heuristic parameters for the utility plants considered in this work affect the estimation of the said indicators. The butane technology was shown to be more sustainable than the benzene process, since it was approximately 72% more profitable and 38% more eco-efficient than the latter. This study was financed in part by the Coordenação de Aperfeiçoamento de Pessoal de Nível Superior —Brasil (CAPES)—Finance Code 001.